From the Nicholas Mosse Fuchsia Collection. 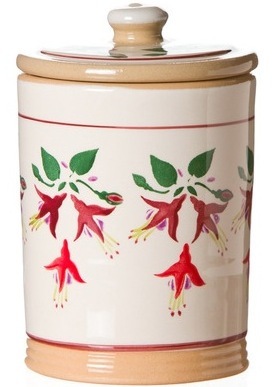 The lidded jars look charming at home anywhere, formal or casual, and have a sealed lid. Now retired, but very useful forever.